As you probably know this weekend was the debut of the college football season. 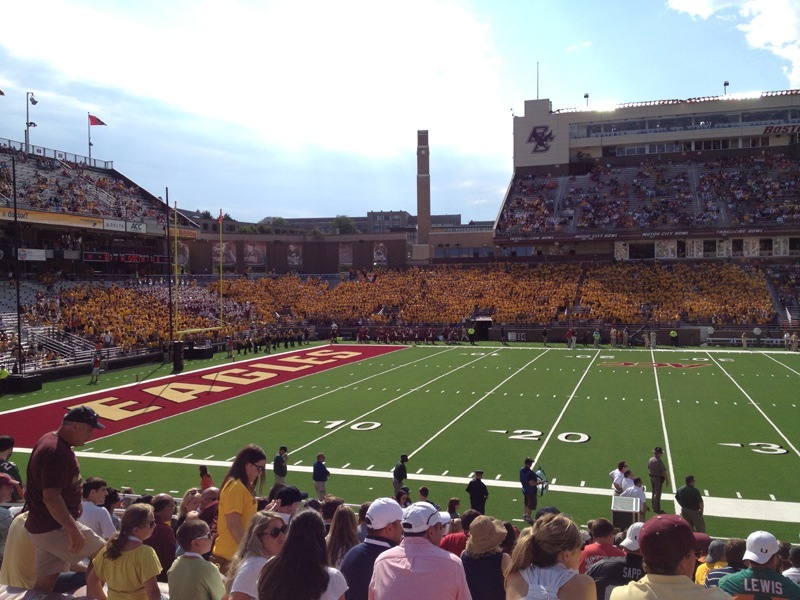 Our beloved Boston College Eagles faced off against the University of Miami in the home opener on Saturday. 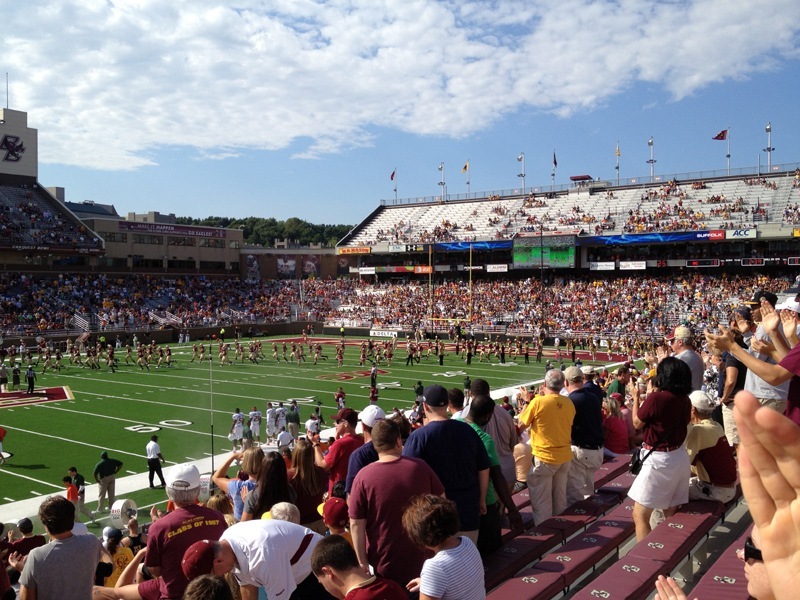 We had a great tailgate spot for this game in the high donor lot, courtesy of a friend. John and I brought/made all the food and it was a great time. 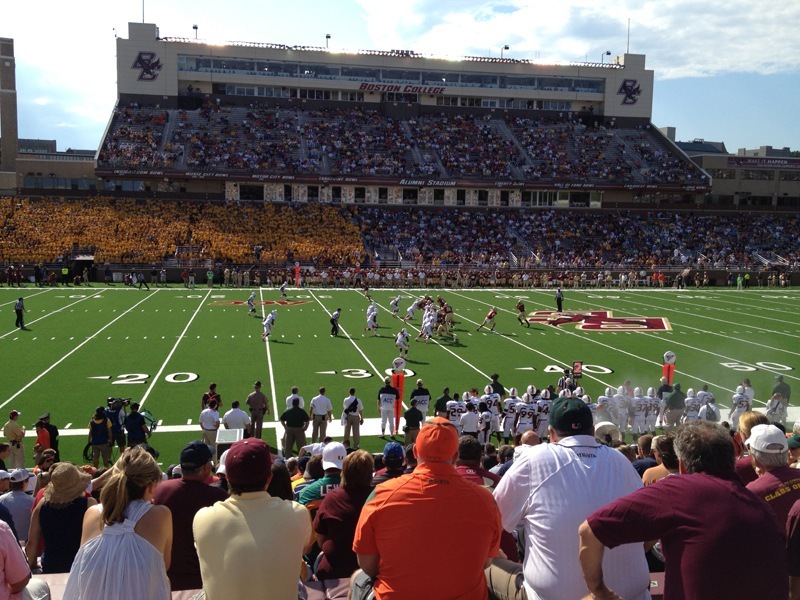 Our seats were excellent – right on the 25 yard line and, since we were in the high donor section, we got padded seats! 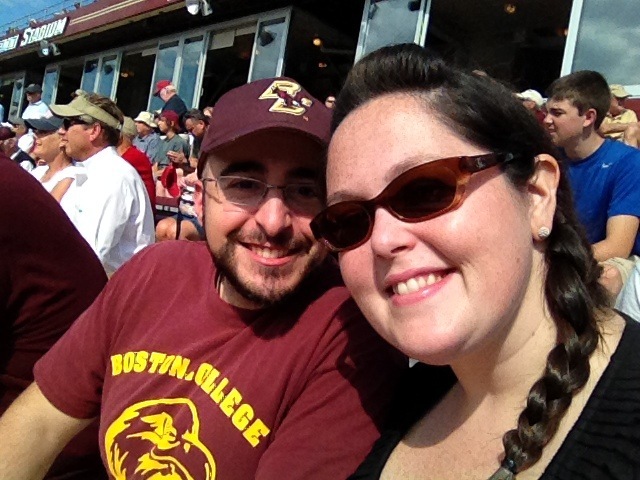 It felt so good to be back at Alumni Stadium watching football. 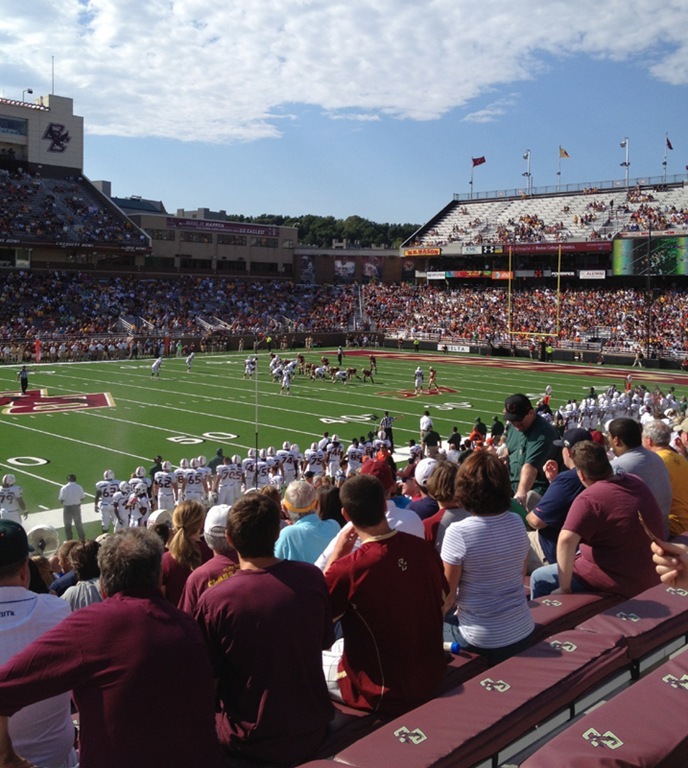 When the first hints of Fall begin I get really excited because I know football will soon follow. 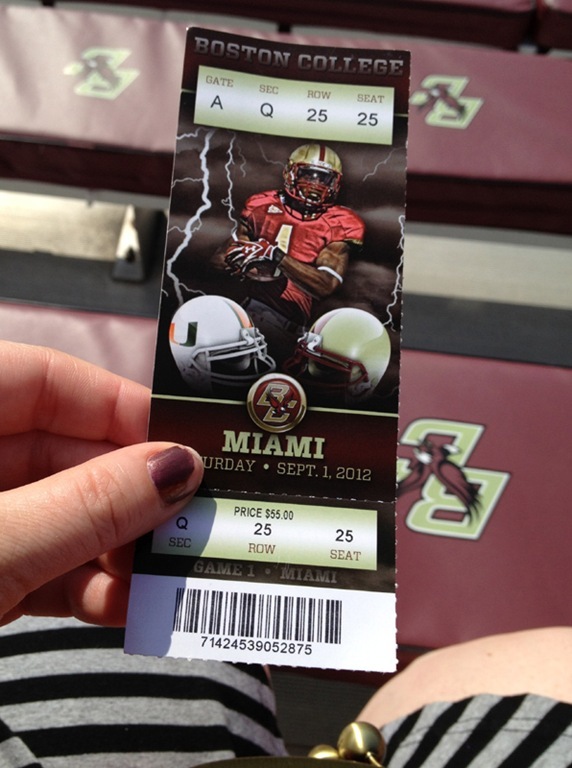 BC lost to The U but that’s alright. Let’s Go Eagles! It’s kind of funny that we were doing the exact same thing one year ago and two years ago on Labor Day Weekend. It’s a really awesome tradition. What did you do this year? LOVE college football! Even if they lose, there’s no better way to spend a Saturday. 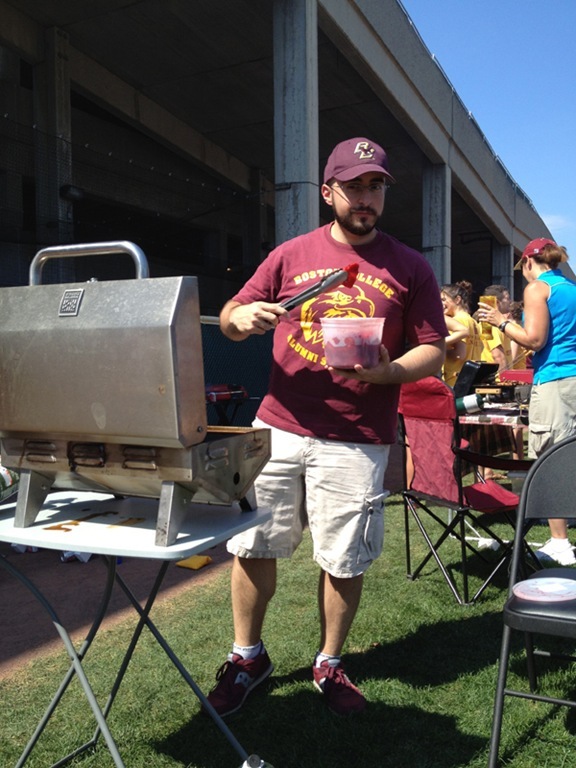 I think I love football tailgating food as much as the game itself. What did you guys bring? Me too! We brought sausages, turkey tips, steak tips, pork tips, homemade pasta salad, chocolate chip cookies, and a new recipe I came up with – apple, brie, bacon bites. Super good! Tips galore! 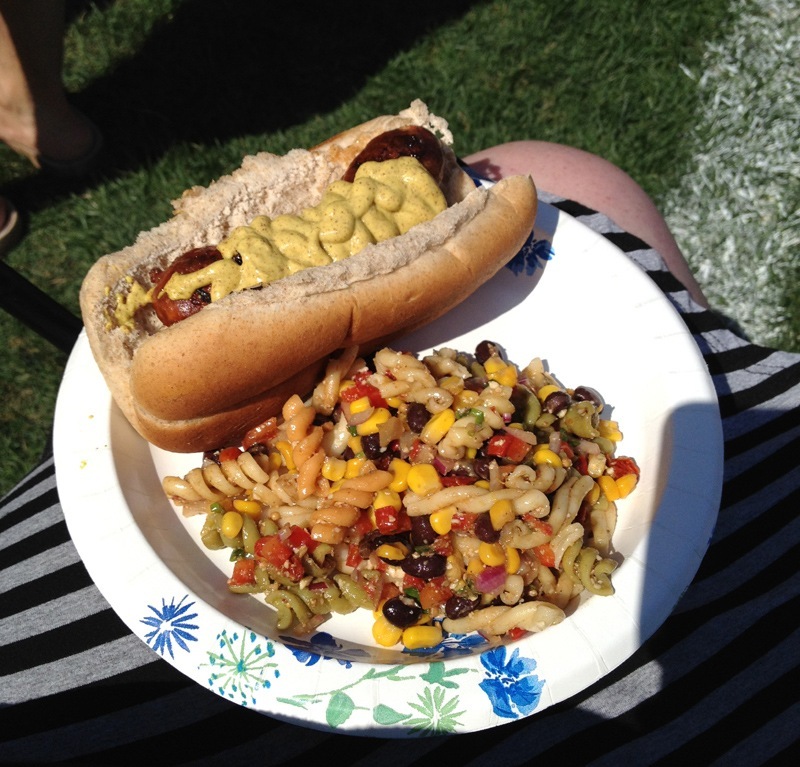 And ooh…fancy tailgate bites! The man loves a diverse meat selection. Oh yes, you were in the fancy section. We sat up there once. It is fun no matter where you sit. 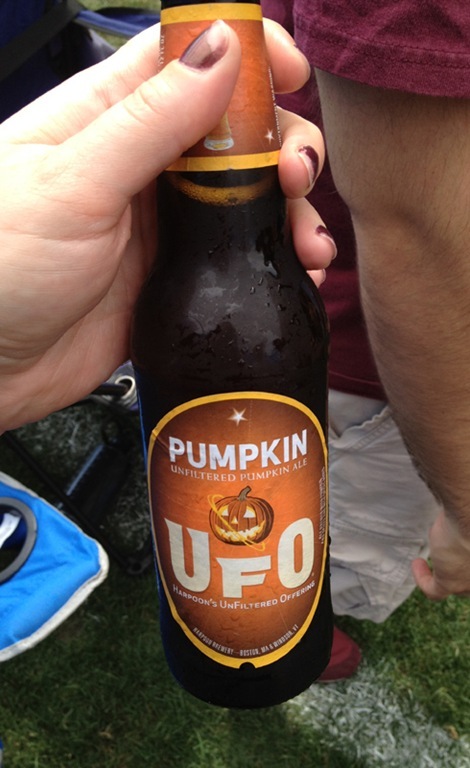 And honestly, as much as I love football….I really go for all the tailgating food. 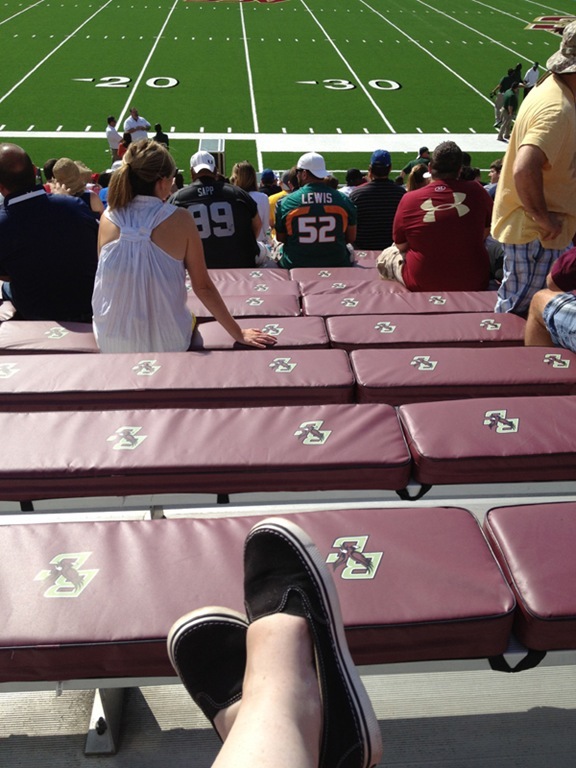 I go for both but the padded seats was really the cherry on top!